On the same day that the news reported a shooting at a high school in Reynolds, Oregon, the United States Supreme Court issued a landmark decision on gun control. In this case, which came out of Tennessee, a gun owner with a conviction for misdemeanor domestic violence had to surrender his guns. He ran afoul of a new federal gun statute denying gun ownership upon conviction of enumerated crimes. Domestic violence convictions are included in crimes that prohibit gun ownership. The U.S. Supreme Court upheld the federal law overruling the Tennessee court: Tennessee had returned his guns. The Supreme Court ruled unanimously against Mr. Castleman who argued that the rights of the gun owner trump public policy of banning gun ownership to convicted persons. How does that impact the shooting in the Reynolds, Oregon school? The question is who owned the gun and how did the fourteen year old take possession and then enter the school. The nexus is not the right to bear arms but the right to use them. The Supreme Court case, which upheld gun ownership in 2008, said in its ruling that the Constitution does not permit “the absolute prohibition of handguns held and used for self-defense in the home,” and Justice Scalia wrote of the right to use firearms for hunting. 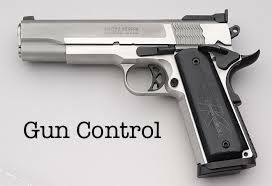 District of Columbia v. Heller held that firearms can be owned for self defense. In District of Columbia v. Heller, the Justices wrote: “we held that the Second Amendment protects the right to keep and bear arms for the purpose of self-defense, and we struck down a District of Columbia law that banned the possession of handguns in the home.” Nowhere does it create an unlimited right to own and bear arms. What comes next in Oregon is a bigger legal issue. Using a gun for self-defense: OK; Using a gun for hunting: OK; But any other use is where vicarious criminal liability comes in. Watch this: if the student in the Reynolds, Oregon school shooting took the gun from his home, and the gun owner (Mom or Dad) had a conviction for a crime which prohibits gun ownership, then the possession was unlawful and they can be arrested for facilitating the felony of murder. If the gun was stolen or taken without permission, then there is criminal liability for the provider who failed to maintain control. The thread of gun ownership and gun use is the crux of the anti-gun lobby and this shooting in Oregon will open a floodgate of criminal arrests for anyone who can be connected to the student who shot the teacher and student in Reynolds, Oregon. Remember what the Supreme Court said in these two cases: gun ownership for self-defense and hunting: OK. Gun ownership can be denied for conviction of enumerated crimes. Having the right to own a gun and having the right to use it is where the screw will turn. The National Rifle Association and defenders of gun rights have to now deal with an entire new wave of legal issues. The anti-gun lobby will seek to further restrict the right of law-abiding citizens to own, carry and use their guns. The Second Amendment must be turning in its metaphoric grave and gun owners need to speak with a united voice to push back against those who will limit gun ownership or you may be permitted to own a gun but you may not be permitted to use it.